Drs. Randall Feingold, Ron Israeli, Peter Korn, David Light and Jonathan Bank have a unique understanding of the difficulties facing breast cancer patients. That is why they are extremely committed to providing their patients with the most comprehensive care available, and why they want to help anyone in the Long Island community confronting this awful disease. 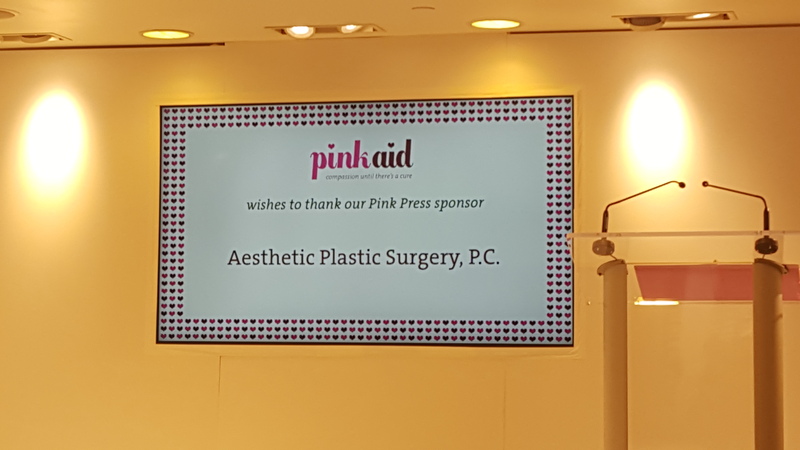 As part of their continued community outreach helping people diagnosed with breast cancer gain access to appropriate care and resources, Aesthetic Plastic Surgery, PC proudly supports the Pink Aid mission. Pink Aid, a Connecticut and Long Island-based non-profit, helps underserved local women survive breast cancer treatment with support and dignity, provides screening to women in financial need, and empowers breast cancer survivors to heal by helping and inspiring others. The best part is that all the funds raised during the luncheon and other events benefit women in need battling breast cancer in Long Island. Pink Aid accepts grant applications and is open to any organization in Long Island with a program that meets its mission. Applicants range from large hospitals to small grass roots organizations that help breast cancer patients in need with household bills, meals, wigs, screenings and other support services. Photo: (top) participants of the "Celebration of Life Fashion Show"